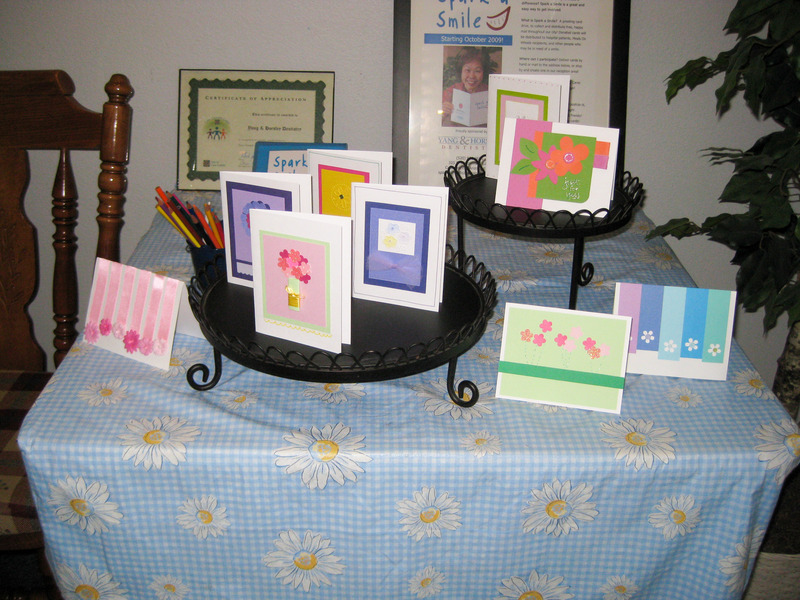 This month, in honor of my grandma (the face of Spark a Smile) who will need hospice care someday, we created Mother’s Day cards for Hospice Compassus of Casa Grande. Miss Marlene and I had been browsing Pinterest (feel free to follow me!) and created these inspirational samples, but I don’t think anyone needed them… everyone was on a creative roll that night! I made this flower out of a regular scallop punch! 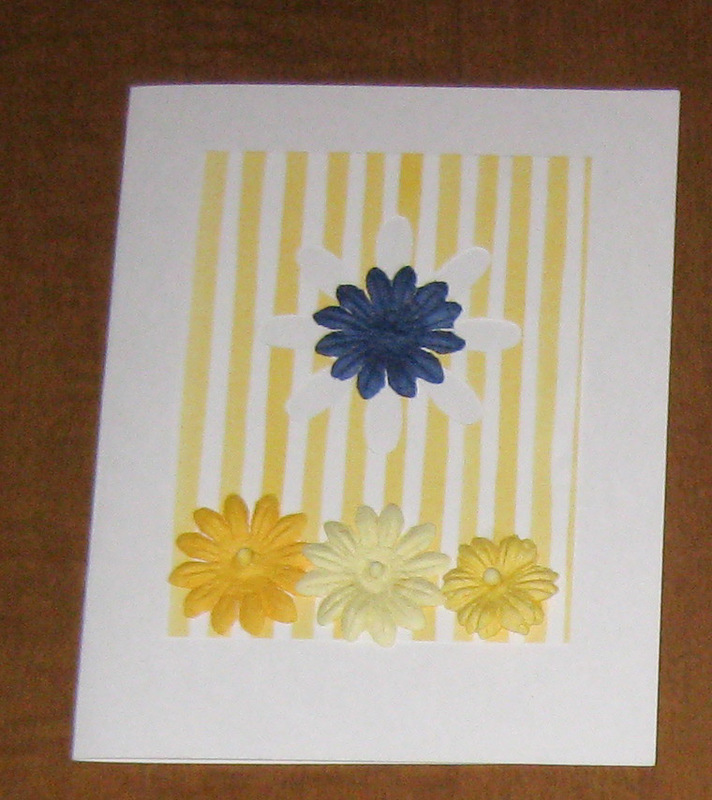 It was fun (and super inexpensive) to make. Join us Wednesday, June 13th between 5-7PM (at Yang and Horsley Dentistry: 325 E. Cottonwood Lane) as we create 4th of July cards! 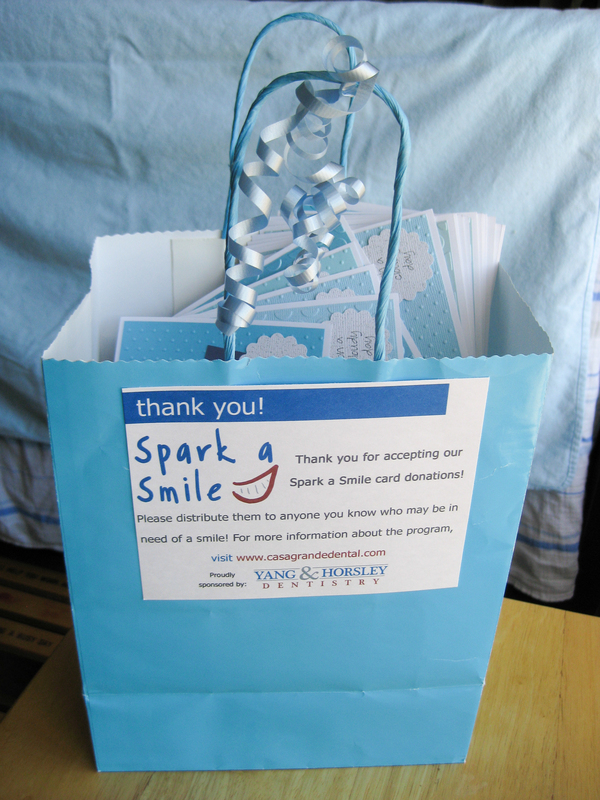 We helped the Pinal County Juvenile Court celebrate National Volunteer Month by donating 150 of these fun cards! We went with an “April showers” theme. These are probably my favorite of all the cards we’ve done in our 2.5 years of sparking smiles! 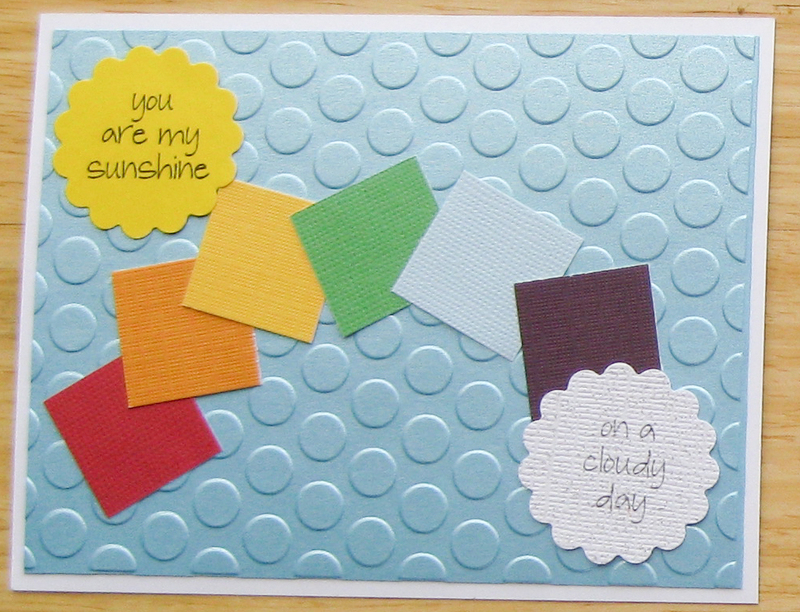 I love these bright, happy colors! 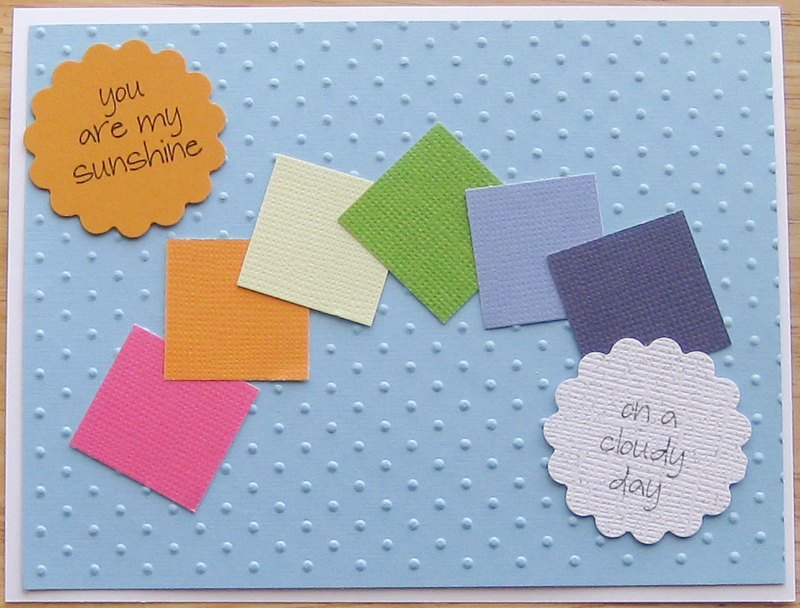 The pictures don’t do these justice, but we used Cuttlebug embossing folders to create the big dots on the metallic blue cardstock, and convenient squares of adhesive cardstock to create the rainbow. 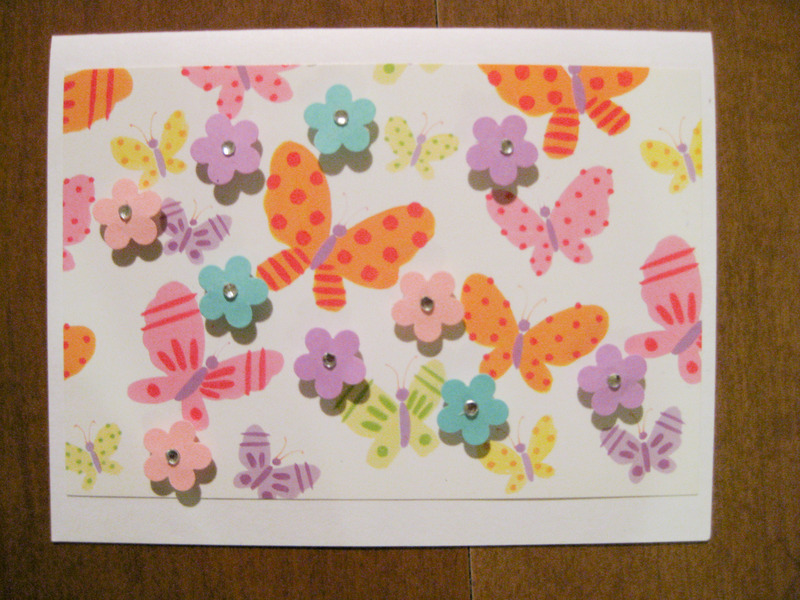 “On a cloudy day” is punched out of glittered white cardstock! We had a great turnout last month, including a surprise visit from my brother-in-law and two nieces, who came all the way from Surprise! We also had some help from my friend Amy, who worked remotely from home since couldn’t make the party! My cousin and her roommate also helped out while we were hanging out at a half-Ironman triathlon to support my brother-in-law. Thanks to everyone who helped out! 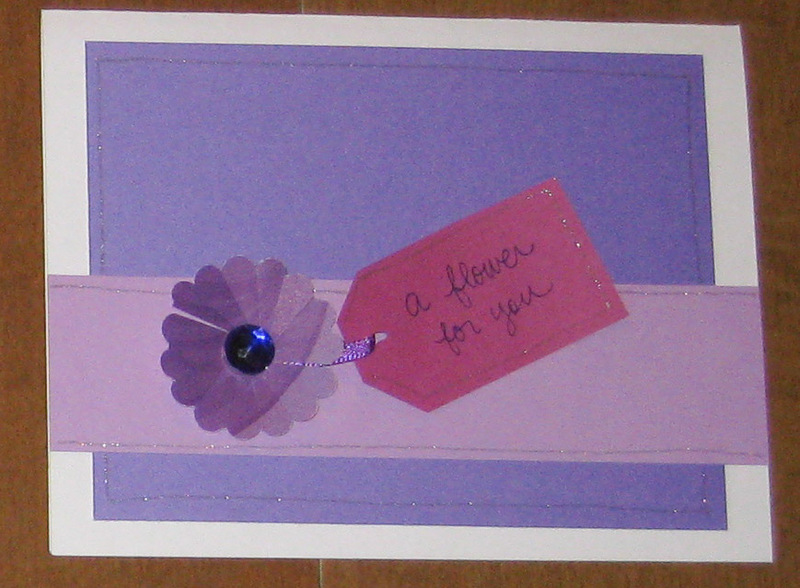 Now it’s your turn – join us on Wednesday, May 9, from 5-7 PM to help us make Mother’s Day cards for Hospice Compassus. 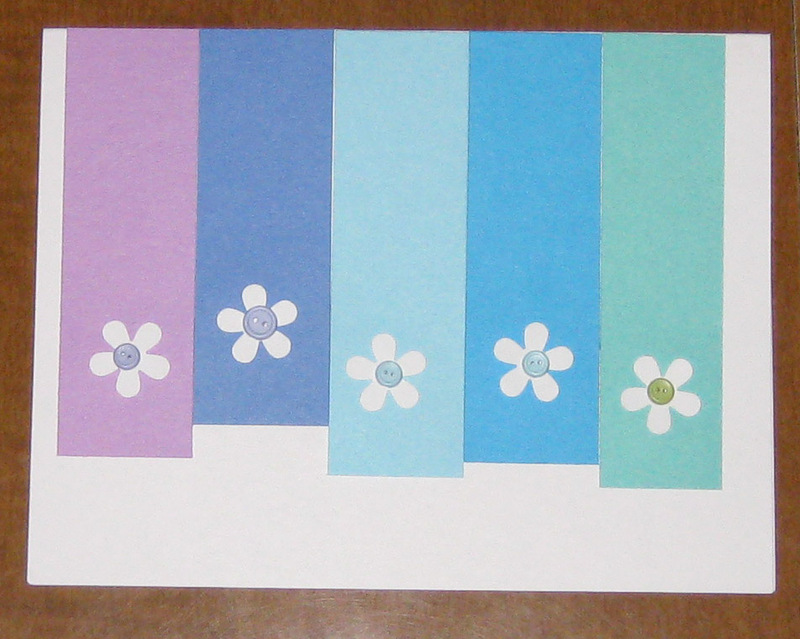 Our theme this month is “In bloom”.